Polyfaces World Premiere & Official Selection at LSFF Prague! Regrarians Media are very proud and honoured to announce that the ‘Polyfaces‘ film has been included in the ‘Official Selection‘ list of the 2015 Life Sciences Film Festival (LSFF) — this year’s festival theme is “Our Relationship to Food”. Running between October 12-17, this fantastic Prague-based (Czech Republic) festival features 143 films from all over the world with 49 making the ‘Official Selection’ cut. This event will also be the World Premiere of the’Polyfaces‘ film ahead of its showings in the USA from November (announcements coming!). 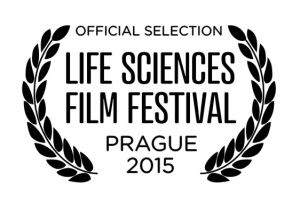 We would like to thanks the organisers of the Life Sciences Film Festival for granting us this honour and we look forward to being there for the opening in Prague next month!